In the Hungaroring paddock weekend before last there was a definite end of term atmosphere. And with reason, after months of whirlwind activity the sport was off on its summer holidays - compete with bucket and spade and rubber ring. Possibly. Whatever was the case no one would have to think about FRIC, team orders or any other of the sport's uniquely esoteric matters until reconvening at Spa in late August. The roughly month-long summer break is in itself a new thing, introduced in 2009, and gratefully received by a fraternity experiencing a calendar both growing (in 2003 and the years immediately preceding 16 or 17 races was the norm - now 19 or 20 is, and the 2003 season ended in mid October rather than late November) and featuring much more in the way of long haul travel (again back in 2003 but six rounds were outside Europe, now 10 are and indeed last year there was 12). Quite the unprecedented attack of generosity from Bernard Charles. Thus we now are in a full four weeks with no F1. And the associated withdrawal. But it's a marginal improvement at least on this time last year when the Hungarian round was the only F1 meeting in a run of six weekends; which in turn was partially down to the summer break, partially down the New Jersey round being cancelled and not replaced, thus leaving the summer months more generally with a rather sparse look. But also to those of a certain vintage there seems something rather of a parallel universe to have gone through the Hungarian round and still have a full eight rounds - one could argue nine in effect given Abu Dhabi rather infamously offers double points - remaining. Nothing is close to being decided in other words. Time was when a Hungary visit meant late summer, lengthening shadows, and an F1 season moving into its final act. Indeed, rewind yet again to 2003 and after the Hungaroring meeting but three races remained: Monza, Indianapolis and Suzuka. 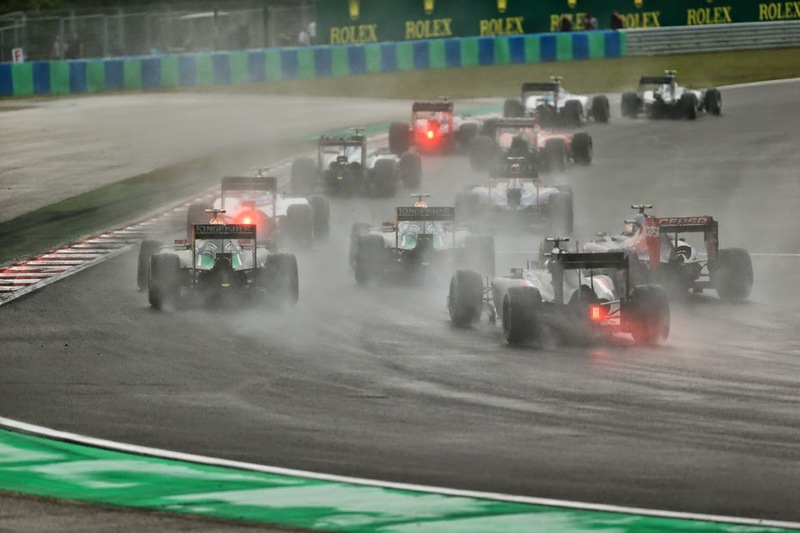 Twice also the championship was settled at the Hungaroring too, though both in years wherein a single driver dominated (once Michael Schumacher, once Nigel Mansell). The sport's recent cramming in of new venues, many in Asia, has resulted in a rather bottom-ended schedule and a helter-skelter run of races in the Autumn. But the wonderful thing about F1 history is that from delving in you can find a more extreme example of just about anything. And this goes too for strange scheduling. 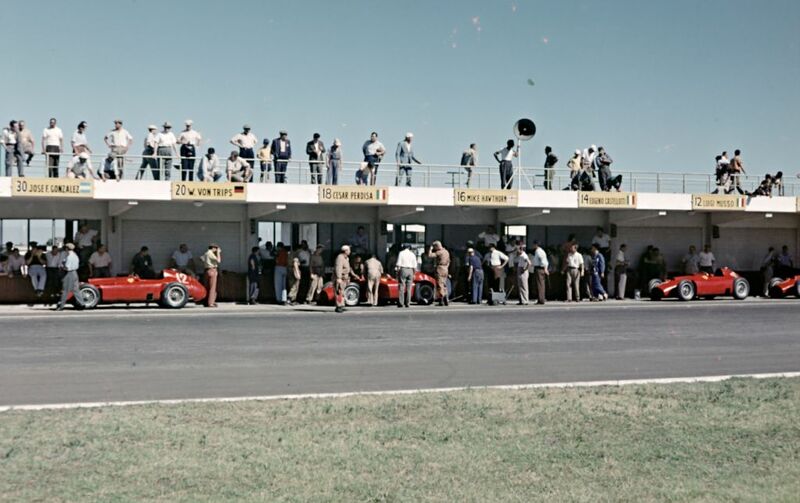 For much of its history, particularly in the pre-Bernie age, Grandes Epreuves were a disparate, largely uncoordinated collection, scattered about the calendar year, separated by non-championship races and other non-F1 motor sport events that the drivers would take part in - something of a legacy of pre-F1 championship way of things. It used to be common for the F1 season to start in January; often you'd have a race or two in that month, usually in South America or South Africa (New Year South African season openers were traditional for a while - the 1965 and 1968 races were indeed on New Year's Day itself...), before the teams would go back into their winter hibernation until the Spring (March or April) at which point the season would kick off in earnest. Even after Bernie seized his grip of the sport the detached January season start lingered on for a while; the final F1 opener in that month was as late as in 1982. And such strangeness was not exclusive to the season start. In 1962 and 1963 the final round on the itinerary was in East London in South Africa, and each year it took place in the days between Christmas and New Year! Not only that, in both years the previous round was in October! 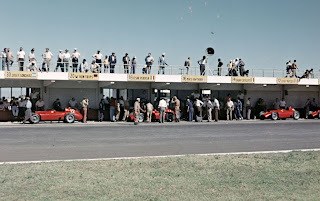 Indeed, in 1962 the destination of the drivers' title still hung in the balance heading into the final round, and all concerned had to wait upwards of two and a half months between the penultimate and concluding races to find out who would take the honours. Remember that one if you start to feel any effects of F1's absence in the coming days and weeks.